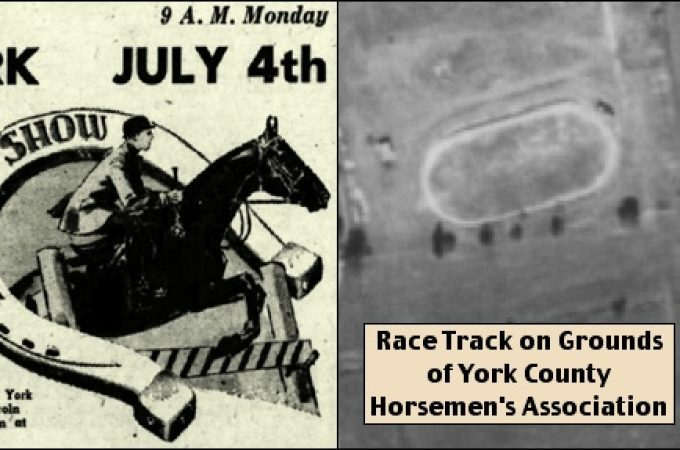 This post examines that third Lincoln Highway Garage in York County, PA. 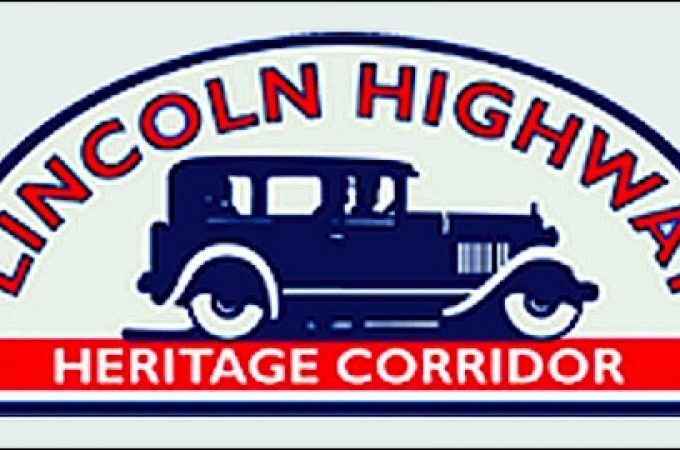 The other Lincoln Highway Garages were established in the early 1920s, along EAST and WEST Market Streets in York. Of the three Lincoln Highway Garages, only the building of the one in Hallam still stands. 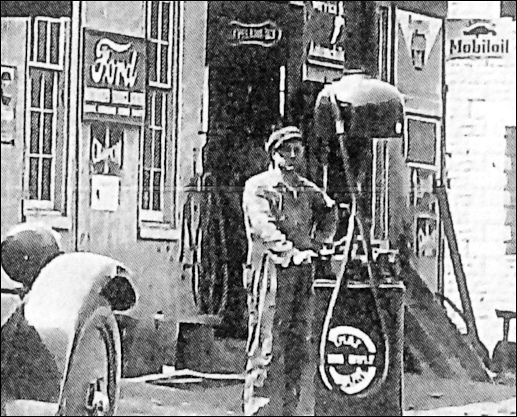 A copy of a suspected Calendar Photo of the Lincoln Highway Garage in Hallam was submitted for dating and further research. The copy quality is adequate, however it is hoped that someone, with the actual photo, will share. Nevertheless, there are neat signs, gasoline pumps, and the like, to gaze at in wonder; as shown in this zoomed-in-view of a section of the whole photo. The garage sign lettering provided the stating point for the research. Who is S. Lieberknecht; with sons: Cleveland and Charles? U.S. Census and family history research at the York County History Center provided the answers. Samuel Lieberknecht was born in 1851 and died in 1921. He was married to Rebecca Leiphart and two of their sons were: John Cleveland Lieberknecht [1884-1965] and Charles Edward Lieberknecht [1888-1959]. On August 17, 1909, Samuel Lieberknecht, of Hellam, Pennsylvania, was issued United States Patent 931,321 for a stone mill, which contained improvements in Grinding Mills that were judged uniquely innovative by the patent examiners. Samuel Lieberknecht began manufacturing his Stone Mills in a barn on his property along Picking Road in Hellam Township; located about 1-mile southeast of Hallam Borough. He produced seven mill sizes; containing mill stones from 10 to 22-inches diameter. Farmers purchased these small mills; which they ran with a leather belt drive via power drive off of a tractor or portable engine. The Kreutz Creek Valley Preservation Society produced a YouTube video that demonstrates grinding roasted corn into corn meal utilizing a 1909 Samuel Lieberknecht stone mill. That video is at this LINK. Quoting a notice in The York Daily of October 5, 1915: “Come to the York County Fair and see the display of the Farmers Favorite stone mills manufactured by Samuel Lieberknecht Sons, Hallam, Pa.” Here Hallam is the Post Office, since, in 1915, the stone mills are still being produced at the Lieberknecht property along Picking Road in Hellam Township. During that time, help wanted ads by Samuel Lieberknecht Sons appear in newspapers for individuals, having blacksmith or auto repairer experience, to work on manufacturing the stone mills. 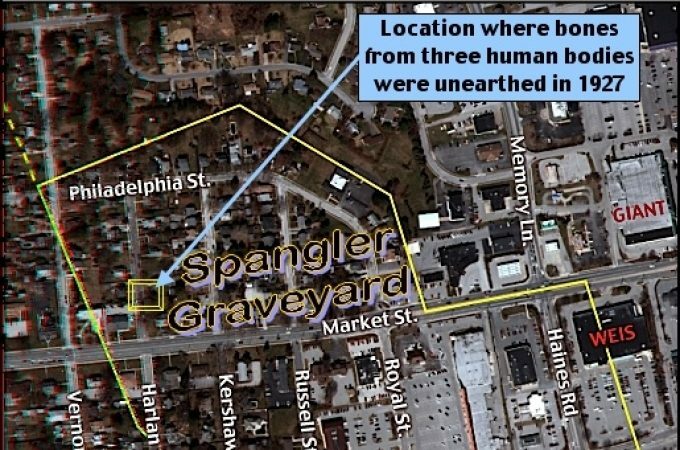 On that lot the sons built homes at 276 and 260 East Market Street and constructed the west side of the building that became the Lincoln Highway Garage. That building was originally used to manufacture the stone mills; plus became a general machine shop for area farmers and mills. The bothers expanded the manufacturing building, by adding to the east side, following the 1924 purchase of a neighboring lot; also from William H. Dietz and wife Ella (Deed Book 23C, Page 35). That expansion allowed the addition of a service station across the overall front of the building, while maintaining the manufacture of stone mills and the general machine shop; on the lower level. The submitted photo was likely taken soon after the Lincoln Highway Garage opened in the mid-1920s. 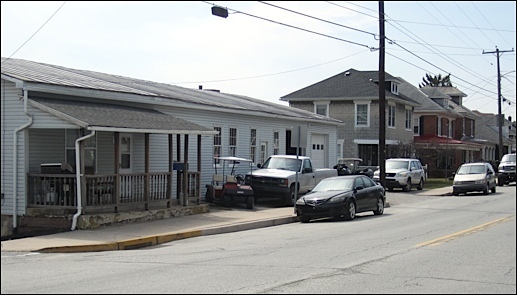 The resulting 278-280 East Market Street garage lot has a frontage of 114-feet along the south side of the Lincoln Highway and sits just west of the 30-feet wide South Oak Street. The two houses, seen immediately to the right (i.e. to the west) of the garage are the son’s homes at 276 and 260 East Market Street. All buildings still stand today; as shown in the following “now” photo. The building of the former Lincoln Highway Garage is presently utilized for housing and storage. I sought Ted Schaefer’s guidance on dating the car in the submitted photo. His first reaction was mid-1920s, however upon studying it closer, the license plate provided validation. 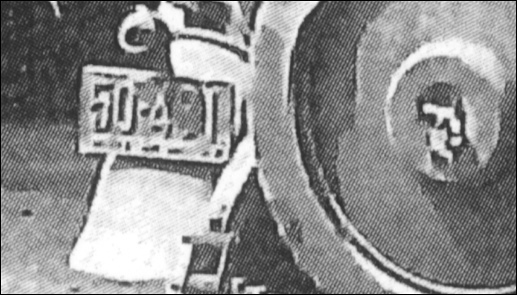 Ted Schaefer noted the license plate is either 1923 or 1925; since it is a pressed steel plate with a dark background and light numbers; with Penna and year underneath. Therefore, combined with other research, the photo is most likely 1925. Back then, the design of the Pennsylvania automobile license plates changed every year. The license design with the dash between the digits begins in 1920, however in addition the plates changed back and forth from dark letters on light backgrounds to light letters on dark backgrounds; the Penna and year also occasionally changed as either above or underneath the digits. 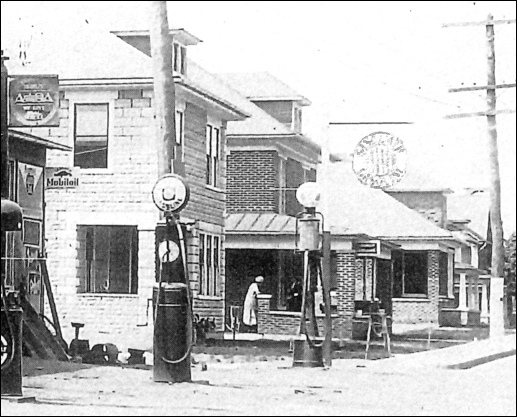 Early gasoline pumps are lined up in this zoomed in view of the right (i.e. west) side of the whole photo. 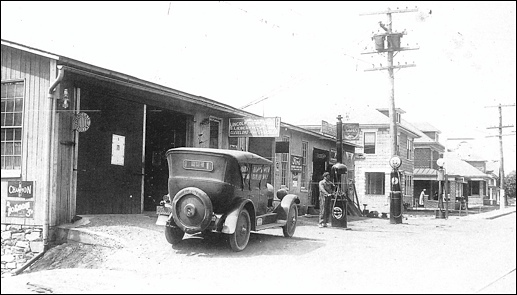 The garage is selling Sinclair Gasoline in 1925. 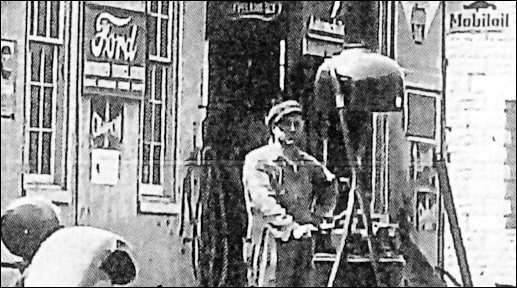 The Lieberknecht brothers, as S. Lieberknecht Sons, sell cars at the Lincoln Highway Garage in Hallam and also operate an automobile dealership at 150 North Beaver Street in York. They were dealers for the Marmon, beginning in 1929; in addition to Used Cars, likely earlier. 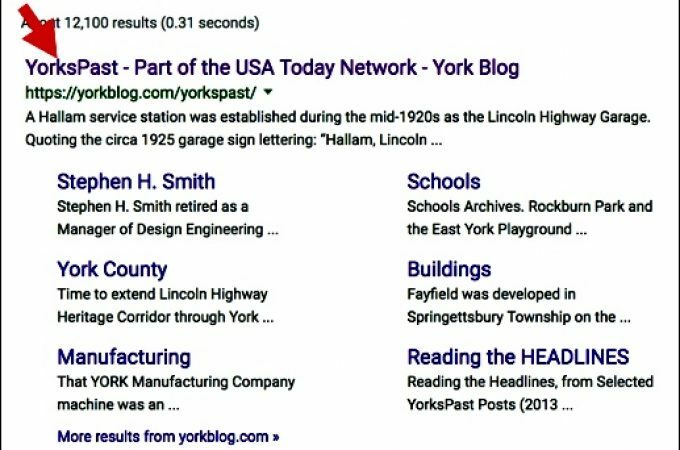 A 1930 Map of the City of York, PA, has their dealership listed and a photo of a Marmon in this link. 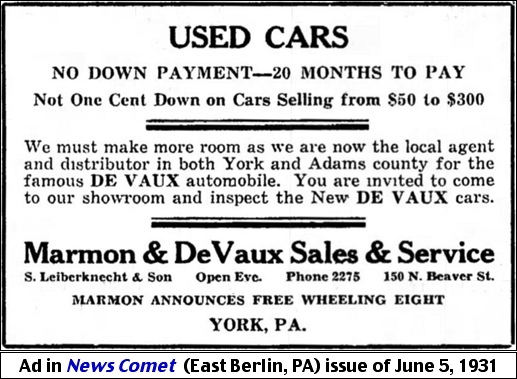 In June of 1931, the Lieberknecht brothers add a new car dealership; they become the local agent and distributor in both York and Adams County for the DeVaux automobile. During the Great Depression, their Used Cars are offered with no down payment and with 20 months to pay; per this June 5, 1931 ad. The bothers became overextended in many of their businesses, such that Charles E. Lieberknecht and John C. Lieberknecht as individuals, and as copartners trading under the firm name of S. Lieberknecht Sons, went bankrupt on August 31, 1932. 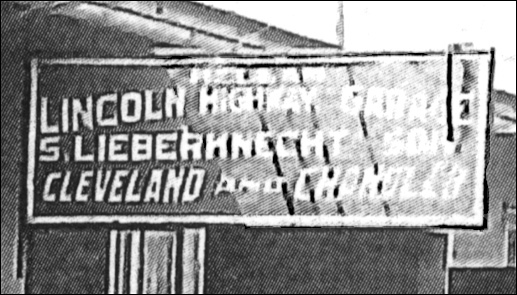 The Lincoln Highway Garage, in Hallam, was purchased September 25, 1933, via a bankruptcy sale to John H. Myers of the City of York for $3600 (Deed Book 25S, Page 554). On November 27, 1933, the garage is purchased back by Charles E. Lieberknecht and his wife Anna Mary (Deed Book 25S, Page 556). 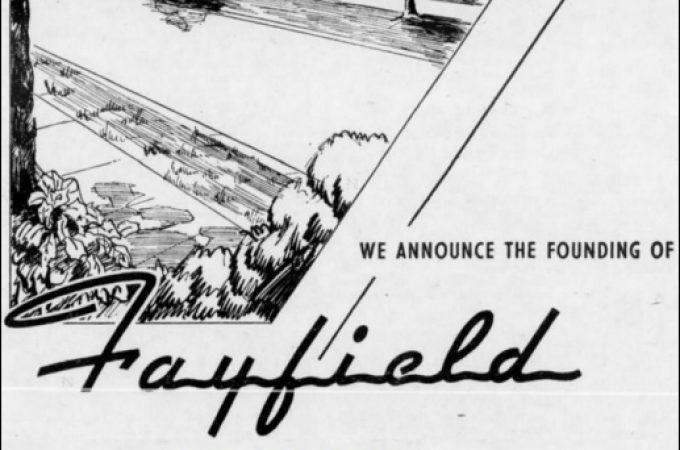 The next owner of the garage is Edward J. Foller and his wife Helen, when they purchase the property for $8,500, during 1946 (Deed Book 32G, Page 220). And finally the present owner, Jon F. Miller purchased the property in 1997 for $70,000 (Deed Book 1308, Page 8771). I’ll end this post by asking if any of my readers can answer the question: Is the individual in the circa 1925 photo either John Cleveland Lieberknecht [1884-1965] or Charles Edward Lieberknecht [1888-1959]?